Crown the Dream Queen, find magic flowers and play with 500 stickers. Seriously dreamy. A bumper book of activities powered by fairy dust. 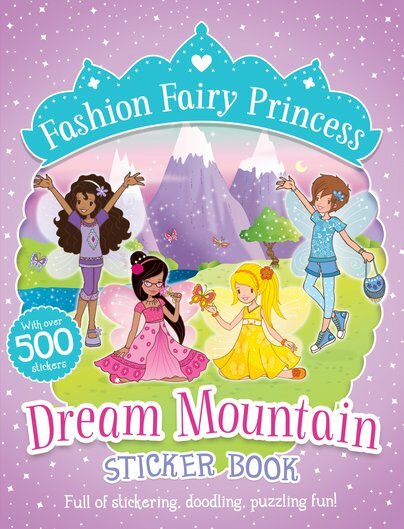 Puzzles, colouring, doodling and over 500 reusable dress-up stickers to kit the fairies out with. Does that sound magical or what? You can choose a coronation dress, hunt for party decorations and explore a mountain landscape full of flowers and butterflies. Why climb any old mountain when you can climb Dream Mountain? And do it with the most stylish fairies around.